Nintendo's has confirmed that Mario Kart 8 has sold 8 million copies since launch. The popular racer launched in 2014 and has become the Wii U's biggest commercial hit. What makes this achievement all the more remarkable is that the Wii U has only sold 13.36 million units to date. Elsewhere, Super Smash Bros. for Wii U has shifted 4.99 million copies and Splatoon has sold 4.57 million units. Super Mario Maker - another recent release - has retailed 3.73 million copies. The 3DS has now sold 61.57 million units globally, with Pokémon X & Y (15.64 million) and Mario Kart 7 (13.94 million) remaining its top-selling titles. Super Smash Bros. for 3DS is the most recent best-seller, with 8.35 million copies sold. Why was I not aware of this video? Btw, Mario Kart 8 Switch version definetely can boost Nintendo Switch sales. Hopefully we will get new Cups, more new playable characters, more new and Retro remake course and new items. 8 million is pretty successful in my humble eyes. Mario Kart 8 is what I had seen being demoed in stores and it's what I bought the system with. That said, if I had known how small its library of good games was, I'd not have gotten the Wii U. The game is awesome! Period. That's an impressive attach rate, but sort of not so surprising on the Wii U.
that is amazing, and yet a bit sad. it's one of the best games out there, bar none. yet it's stuck on an underperforming platform. so many games on wii u deserve better, like splatoon, bayonetta 2, so many games that deserve at least triple the number of players who enjoy them. I don't know why everyone's calling the switch game a version of Mario Kart 8... sure it looks like it will use the same graphics and models, and that it'll feature some of the same tracks, but that means nothing. It wouldn't be the first time they've reused existing graphics and models for a new game... they don't always need to update them, and it speeds up production time. And revisiting old tracks is a staple of Mario Kart games... that's what the retro cups are for. I think it'd be more accurate just to refer to it as Mario Kart Switch. 8 millions is good vs what a game is doing on other platform? Nintendo always made the best racing games. It's just a pity this is the only one they seem to do these days. Still play this on a daily basis! Endless fun! I'll keep playing it until Switch version releases. Also...any more NL MK8 Tourneys in the near future? You attach so much importance to power. You should have been around in the early 90s. This one and Zelda is why i bought Wii U and never regret! Its almost perfect Mario Kart imo. 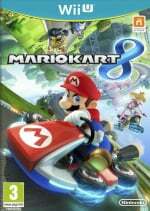 Next, Mario Kart 9 Switch version, the car can transform into different vehicles, from Go Kart become Ultra Futuristic Ship or from Scooter become Anti-G Skateboard with booster. The transformation influenced by a Special Bar Gauge. When used, it will transform the vehicles until the bar gauge empty. Also, some upgradable item attack level, like Chocobo Racing (Blizzard -> Blizzara -> Blizzaga) and Special Ability from each characters. Well, that was my ideas about Mario Kart 9. This still baffles me, when there's the superior Sonic and All-Stars Racing Transformed on the system. Nintendo console owners buy Nintendo games, I guess. @RainbowGazelle Yes yes yes Sonic Racing Transformed is incredible! More people need to play that game. Mario Kart 8 is imo by far the best Mario Kart & I love it (except the poor battle mode which for some reason Nintendo can't get right since the SNES one...) but Racing Transformed is better in almost every way. I've played it at least twice as many hours than Mario Kart 8. I only wish they released more tracks as DLC. I posted this already but 8 million sold on a console that sold just over 13 million is remarkable. That's an ownership of game v console of 60%. @RainbowGazelle Its just my opinion, but as much as I love both titles immensely I prefer MK8 that little bit more. It just feels a bit more polished and the tracks are slightly more varied and enjoyable. In contrast, Transformed has less "luck based" moments regarding items, has 5 player split screen and the changing stages are a great piece of freshness. Really it all comes down to personal tastes it seems. Although the Wii U version of transformed had technical issues before a patch was sorted. Wow that's excellent on a system that only sold 13 million! So I guess we'll get a sequel?! @RainbowGazelle I like both games but Mario Kart 8 is just better. Better driving, better graphics, better online... Transformed was good to pass the time until MK8 came, though. SEGA should keep up the good work. Stunning sales figures, makes you wonder how more it's could've sold if the Wii U was more successful. @Mart1ndo i was playing with power back then, yes. btw underperforming in terms of sales figures. I really wish they'd give us more DLC for MK8. This is probably my most played WiiU game. Sorry guys I had Sonic racing transformed on PS3. I only traded it in recently. I'm not looking to get into a big debate 🤓 but no way on Gods earth is Sonic racing transformed superior to Mario kart 8. Samuelvictor did you ever play MK double dash on GameCube? I think that's the best MK game. @Frank-The-Tank : Exactly! Best MK iteration (from a racing mode perspective) and thoroughly enjoyable game. And better than Sonic Racing Long Bad Name. And 8M Wii U users missing out on Splatoon?!? Inexcusable, ha! Mario Kart 8 (and GameXplain's preview coverage of it) was the biggest reason I ended up buying a Wii U.
I'm not even a big MK fan but I love this game. @Mart1ndo I can see why people prefer Mario Kart, but for me, the handling is better, the water & flying parts are better implemented, & the tracks are better designed on the Sega game. Also, there aren't the cheap deaths & luck based stuff that Mario Kart has. That said, Mario Kart is definitely better for "pick up and play" and multi-player party fun with more casual gamers. I also love the variety in vehicles & customisation, and the DLC is great. To reiterate, I'm not hating on MK8, it's my favourite Mario Kart & a great game. Difference is, Mario Kart 8 is the greatest game ever made, and Sonic Transformed isn't. I've all the home version of MK games as well. Mario Kart, Jesus Christ! That is phenomenal for a console that sold the way it did! Still the most fun game I have ever played, I played this so much when I had my wii u, such a shame they didn't get the battle mode nailed down as it would have been perfect otherwise. I don't miss my wii u though, great console but there just weren't enough games at the end of the day. @Anti-Matter My dream is that they say "We just went ahead and adapted every track from every game. Have fun in the Rainbow Road Super Cup." Super Mario Kart has sold 8.7 million copies. Mario Kart 8 could surpass that, or at the very least, get close to that. @Deanster101 Same here, it's the most fun in gaming I've had too - just single player and miiverse interaction is better than anything else I've ever played. Difference for me is, I could easily just have MK8 as an only game on Wii U and be happy. Awesome 8 million sold wonder how will be sold on the NS. @Mart1ndo Yeah, I know, I'm sorry. I know some people absolutely love the Gamecube Mario and Mario Kart, and I've tried, but I don't. I've owned all Nintendo home consoles, and all handheld ones too (if you count buying DS and 3DS for my kids) and have played all Mario platformers and Mario Karts extensively. I simply can't get on with Double Dash or Sunshine at all, even though I loved all the others (if you don't count SMB2, which isn't a real Mario game). I would even rather play Super Mario Land than Sunshine, or GBA Mario Kart than Double Dash. It's not just me that feels like this - plenty of people hate those two games with a passion. Its weird how polarising they are. I was an early adopter of the gamecube and I loved it. Games like Luigi's Mansion, Twilight Princess, Super Monkey Ball and Resident Evil 4 gave me many hours of fun. So its not that I hate the console. Mario 64 is my second favourite game ever, and MK64 was my favourite multiplayer game at the time, and I really wanted to love the sequels. They just never felt right to me, never clicked, never had that magic that previous (and some later) Nintendo games did. Mario 64, Donkey Kong 94, SMB 3, SMW, Galaxy 2. Wow, Mario Kart 7 alone has sold more units than the Wii U... Not sure why that comes as a surprise to me. @DragonEleven It helps that the video is exactly the same except for the item slot and Boo. I mean side by side it's exactly the same track textures, background models and all. No reinterpretation like most returning Mario Kart tracks. Now, this is likely just placeholder video mocked up with something more finished looking while a brand new version is being made, but what we've seen looks very much like Mario Kart 8.5. Honestly, I'll take either. 8.5 early in the launch is good for the platform adoption rate. 9.0 later would probably be a better game. @samuelvictor It's funny about Double Dash. I don't dislike it, but my wife and I got nutty-giddy about every other Mario Kart release on a home console (we still go back to SNES original occasionally and we also loved Diddy Kong Racing), but that Double Dash we just sort of played and then never returned to it. Never tried to put my finger on why. @samuelvictor @RainbowGazelle There's a lot to love with Sonic Racing, but the performance and aesthetic is a bit of a mess and I like my solid framerates and beauty while racing. All sorts of awesome ideas and racing modes, though, and I do enjoy it. Wish Mario Kart had more variety that way. In fact, I'd love to see a Mario Kart or some other well-themed and beautiful kart racing game that mixed up the adventure style advancement of Diddy Kong Racing with many of the inventive and fun race modes from Sonic Racing. Not sure there's room for that in a new original IP, hard to get attention. Not sure they'd be that daring with Mario Kart. So... I don't know where it would come from, but I can dream. When @Jamotello said "underperforming" he meant the number of sales of the console, not how powerful it was. He was intimating that it was a shame those great games didn't have a wide base of players to be released to because so few gamers had a Wii U to begin with. It's games like Mario Kart and Splatoon that are going to entice me to buy more than one Nintendo Switch for the family. My son says we just need two, because you'll be able to play with four people that way. @DragonEleven Because Mario Kart's are always developed from the ground up. New engine, new everything... Brand new MK's never launch with a new Nintendo console either. They always come out around mid-cycle. While I obviously can't be 100% sure that footage in the Switch trailer wasn't Mario Kart 9, it seems highly unlikely. It was IDENTICAL to MK 8, save for the second item slot and King Boo. @aaronsullivan Yeah, your experience of double dash is exactly the same as my wife & I, and we've been playing together since the N64 version. Can't quite explain it, but it just never quite "clicked" with us the way all the others did. I only did 4, I'm not gone on the Wii version. Over 8 million copies is fantastic IMO for a console exclusive, regardless of how well or badly the actual console has sold. Anyone think it might crack 10 million units worldwide eventually before all is said and done? Naturally I hope it gets more as I think it deserves it as it is an incredible game. And though I'm not generally one to care at all about sales figures, as I like what I like, but, I really hope that with a Christmas sales spike (let's face it, every console/handheld gets sales spikes at Christmas), a possible price drop around/after Christmas, and perhaps one final last push with the console when Zelda is finally released (perhaps even another basic special edition of some sort like they did with WindWaker), that the Wii U hits at least 15 million units sold worldwide in its lifetime (or more obviously) before it is officially, 100% stopped. They are on 13.36 units as of the 30/9/16 (take into account that today is already the 27/10/16), so, with at least another year officially still on the market no doubt, I still don't think it will be beyond the realms of possibilty. Let's face it, the Wii U will join the Saturn, Dreamcast and to a lesser extent GameCube as the game collectors console, so people might pick one up, pop it in their loft, just so they know they can sell it brand new in a decades time for an astronomical price. Saw a brand new Dreamcast for sale for over £1000 on ebay last week. The Wii ruined the GameCube chance of being ultra rare. I've a brand new sealed GameCube for over 10 years but because of the Wii it's only worth about €200. It would have been worth €500 if them 100million Wii's out there didn't play GameCube games. But your right Wii u games and consoles are going to be very expensive in the future. I'd love to pick up a cheap one and pack it away. 🙂 Make a few pound. 😃 I imagine it'll be the most expensive console yet. @vio Just because they've been developed from the ground up before doesn't mean they all have to be... that's typically done in order to suit the specific system that the game is being developed for, but the graphics of MK8 are already pretty high quality... there's no real need for any substantial upgrading for the Switch... and any upgrades they might have added would probably be too minor to be seen in the trailer. It's also worth noting that new Mario Kart games come roughly every 3 years, and next year will be 3 years since MK8 was released, so we are due a new game. Yeah, that's why I said GameCube to a lesser extent (Saturn and Dreamcast are still priciest for collectors right now), although I reckon in perhaps another 5 years or so, if your GameCube is still boxed, sealed etc, that you could get somewhere close to the 500 that you would want. GameCube games are still very pricey in a lot of cases. My local CEX has a copy of WindWaker for £50.00 and Twilight Princess for £54.00, and they're both used and not in the best condition either. Ironically, the actual console they have is downstairs and is only £35.00 lol.